This week's Worship Audio is available via CD in the church office. 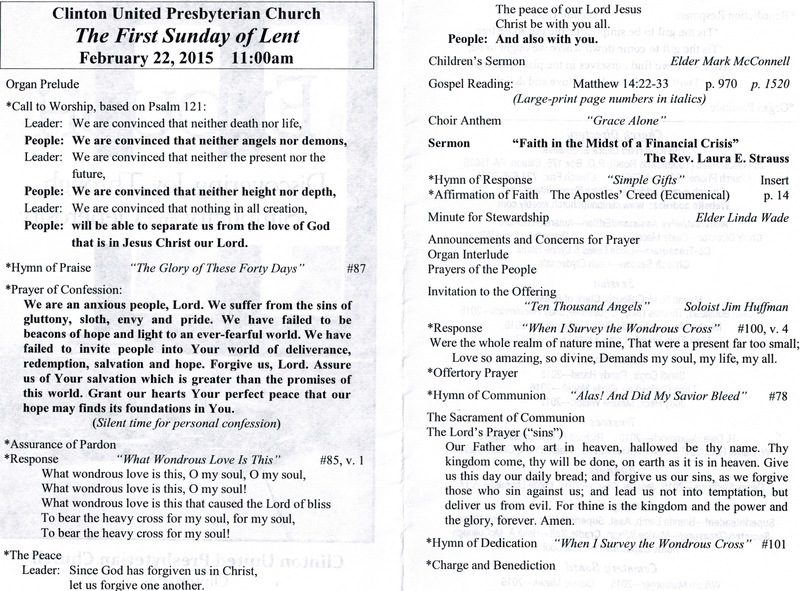 © 2015 Clinton United Presbyterian Church. All Rights Reserved.